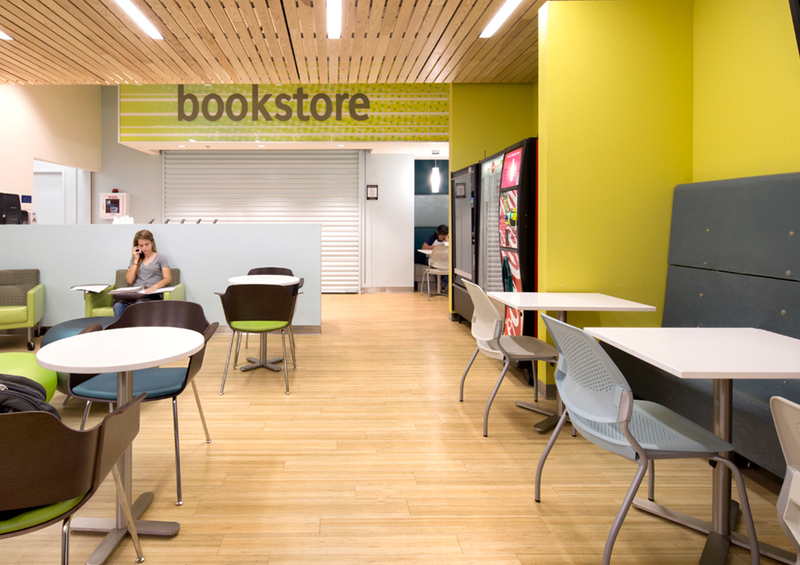 Gould Evans + Canary was hired to create an interior and exterior master plan and concept designs for South Mountain Community College’s student union, student success center and dining facility. The goal for this renovation was to further develop a visual brand for the College, unifying and enlivening campus life for students. The design team conducted work sessions with students to understand important elements that would positively impact their 8+ hours per day on campus. 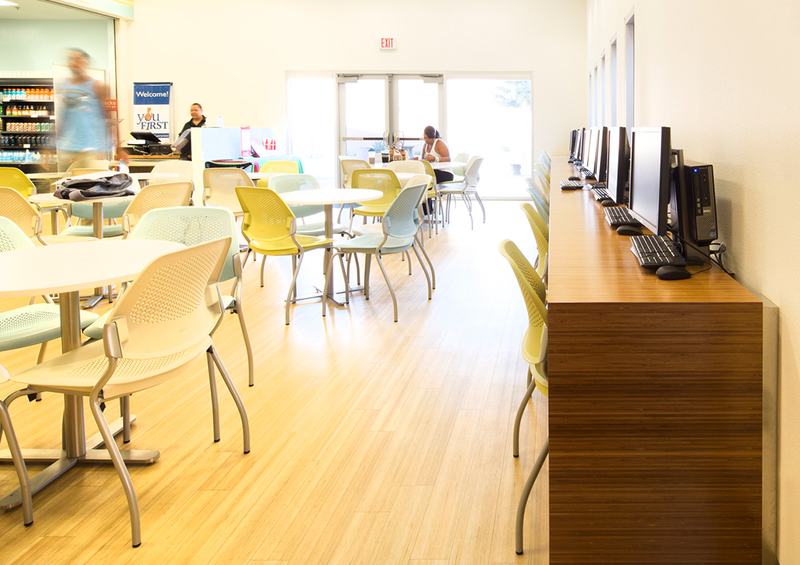 Canary determined that the dining facility was a top priority for both the students and the College that needed to serve dual purposes – as a showcase for student recruitment and as a tool for student retention; a place students could go between and after class. With minimal natural daylight in the existing 80s stucco building, the cafeteria renovation provides a fresh new take on a student dining space. The addition of skylights, exterior glazing and natural wood transforms and opens the space to create a more welcoming student environment. The seating is zoned for different standout student activities including social dining, lounge dining and study dining to provide more varied settings within the unified whole. 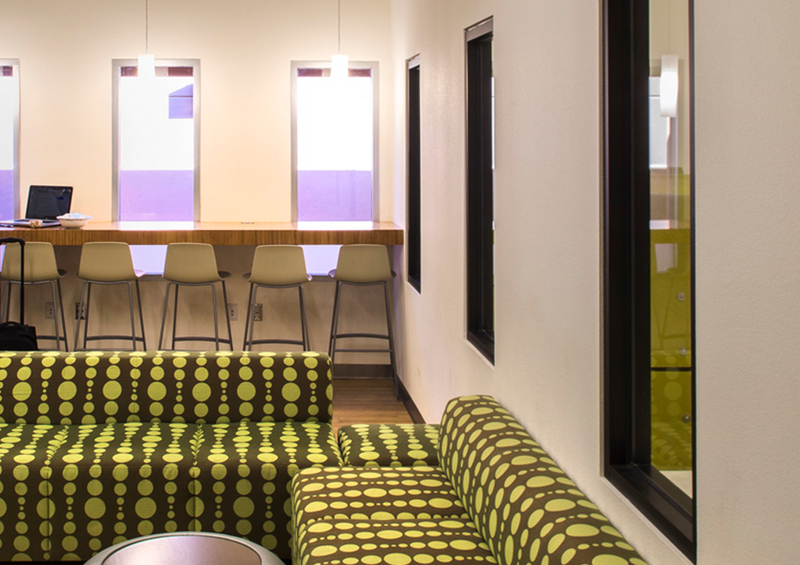 Working efficiently with the budget, Canary updated the furniture and finishes with a modern edge for added impact. 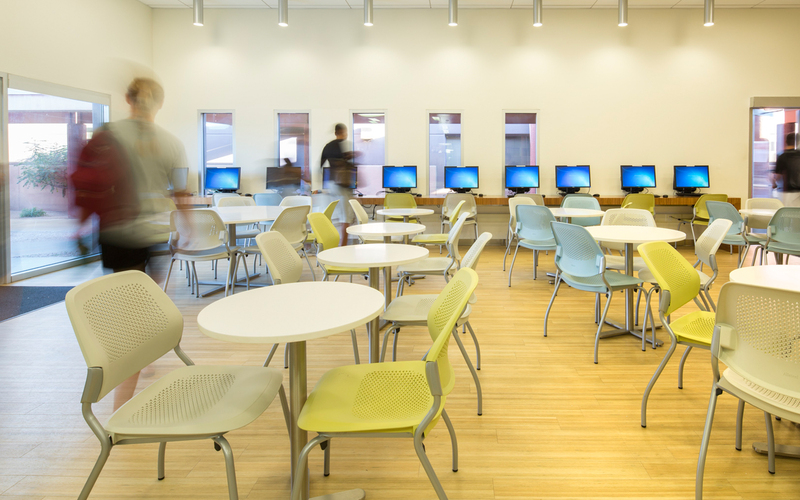 To complete the renovation, environmental graphics and a student pin-up wall add vibrancy to the space and provide students with a sense of ownership.